Relax in our well appointed and recently refreshed hotel in Edmonton Alberta. 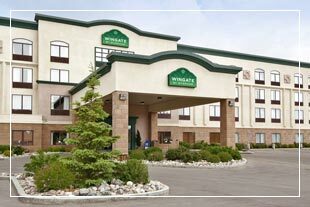 Wingate by Wyndham Edmonton is a contemporary hotel offering state of the art business amenities and family friendly suites, services, and facilities ideal for any length of stay. Designed with the modern traveler in mind, our hotel is the ideal place for business, vacation or weekend getaways. 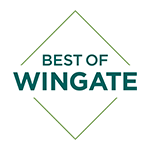 Located only 20 minutes from downtown Edmonton, Wingate by Wyndham Edmonton is close to historic landmarks, dining, parks, and shopping. Only minutes from the world famous "West Edmonton Mall," our hotel is conveniently located off of the Anthony Henday Drive (Route 216), and Hwy 16 (TransCanada) making it easy access for business, government, and leisure travelers. Unwind in our comfortable rooms with all you need to relax and sleep peacefully. With a modern décor and convenient location, our spacious rooms and suites offer state-of-the-art business and lifestyle amenities, including Wi-Fi access, 32" HDTVs, multi-line cordless phones, refrigerators, microwaves and a free deluxe breakfast buffet. Whether you are visiting for an extended vacation, family trip, business or weekend getaway, our "Built for Business" modern hotel offers the perfect blend of lifestyle and business amenities. From our free deluxe breakfast buffet to our state-of-the-art business center, Wingate by Wyndham Edmonton has everything you need to rest comfortably and stay productive.